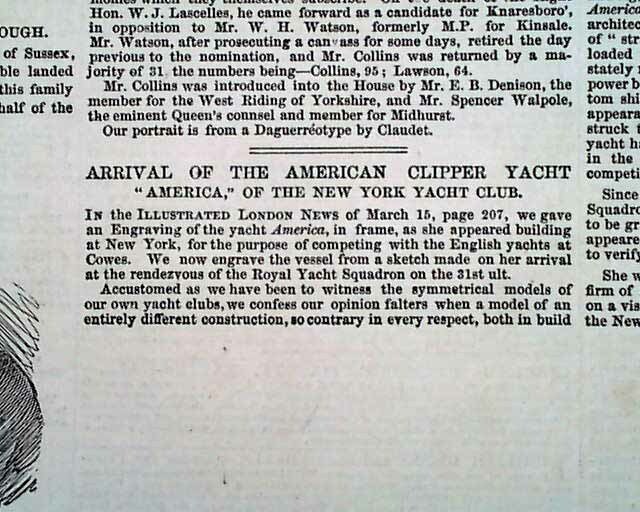 Page 5 contains what is perhaps the earliest print of the yacht named "America" (fully constructed) to be found, accompanying an article headed: "Arrival of the American Clipper Yacht 'America' of the New York Yacht Club". 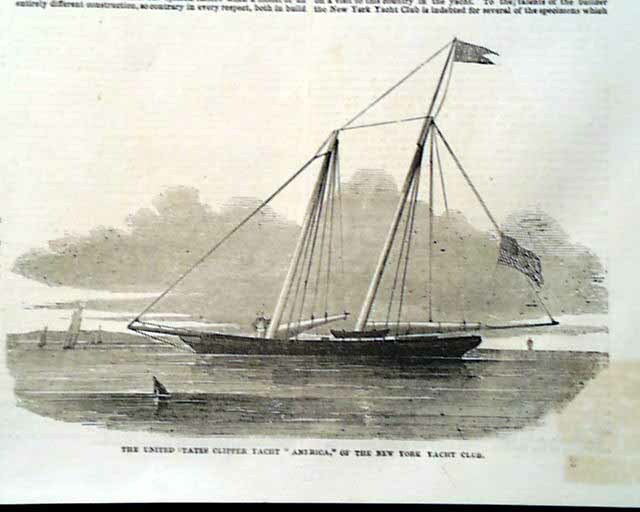 The article provides much detail on the yacht, beneath which is a print of it captioned: "The United States Clipper Yacht 'America' of the New York Yacht Club". 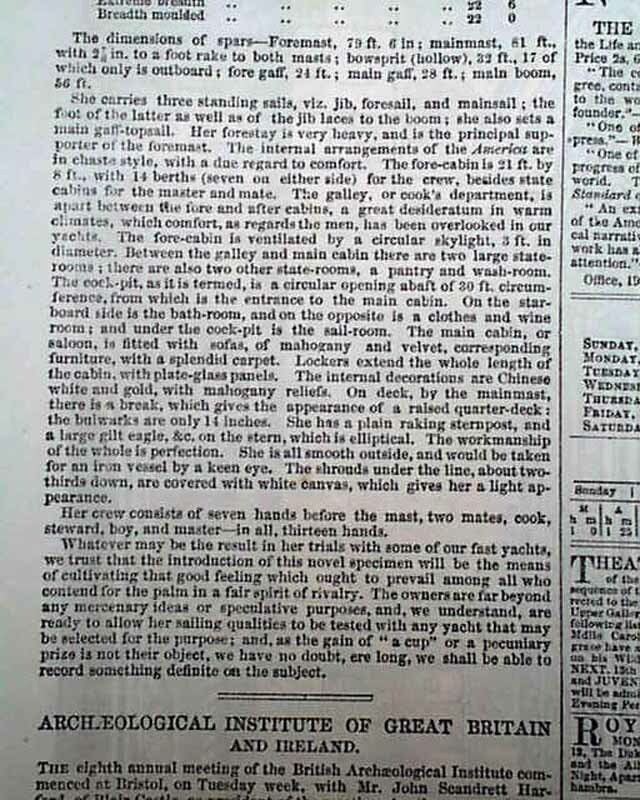 The article carries over to page 6 where is an additional half column of detail on it, including dimensions of its length, breadth, etc. 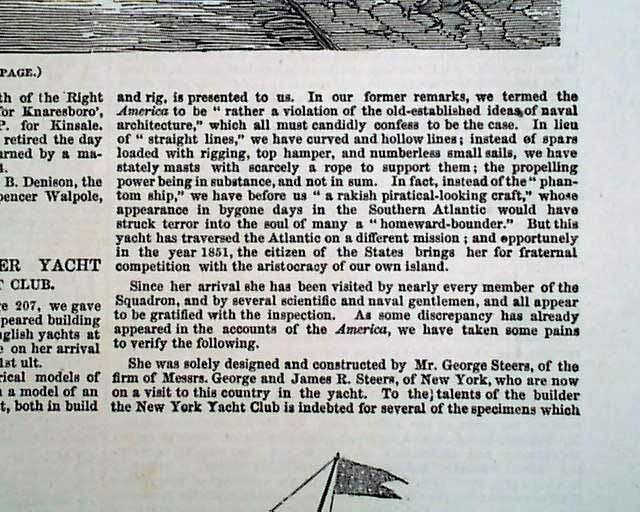 Note the article references an earlier rendition of yacht while under construction, found in the March 15 issue. Its arrival in England was for the very first of what would become known as the "America's Cup" yacht race, a much renowned yachting tradition which continues to this day. 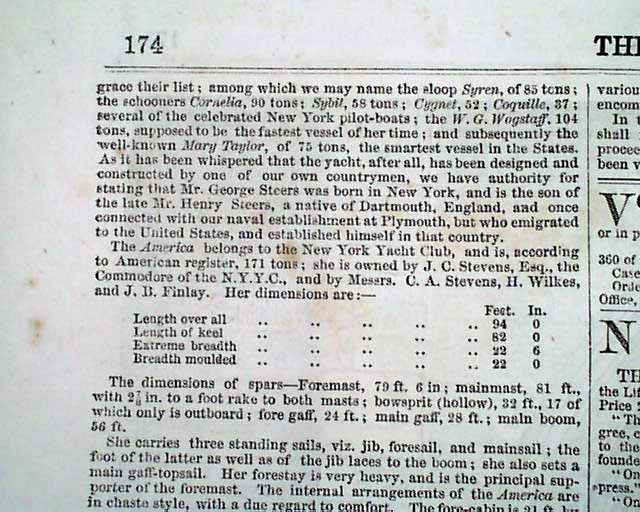 The 'America' won this race in 1851, and hence the naming of the race. 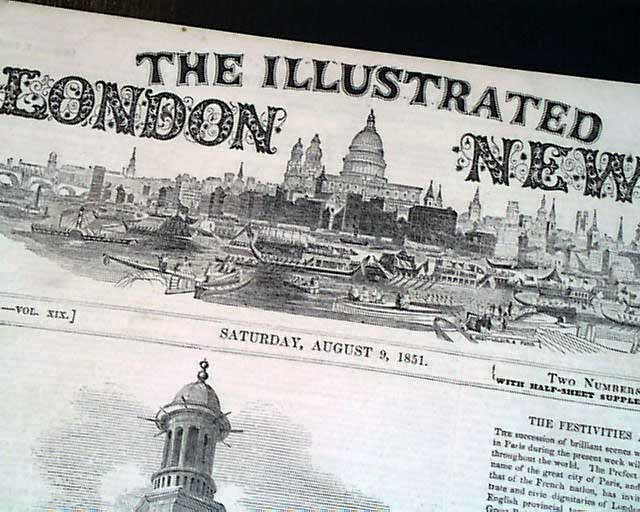 A terrific & very early print and article on this time-honored yacht race. Also in this issue are: "Interior of California" and "The First Public Execution at San Francisco" which includes prints: "View of the Country Near Russian River, 100 Miles Northwest of San Francisco" plus" "Native Women - Native Porter" and a print of: "Lynch Law in California--Scene of the First Execution in San Francisco." 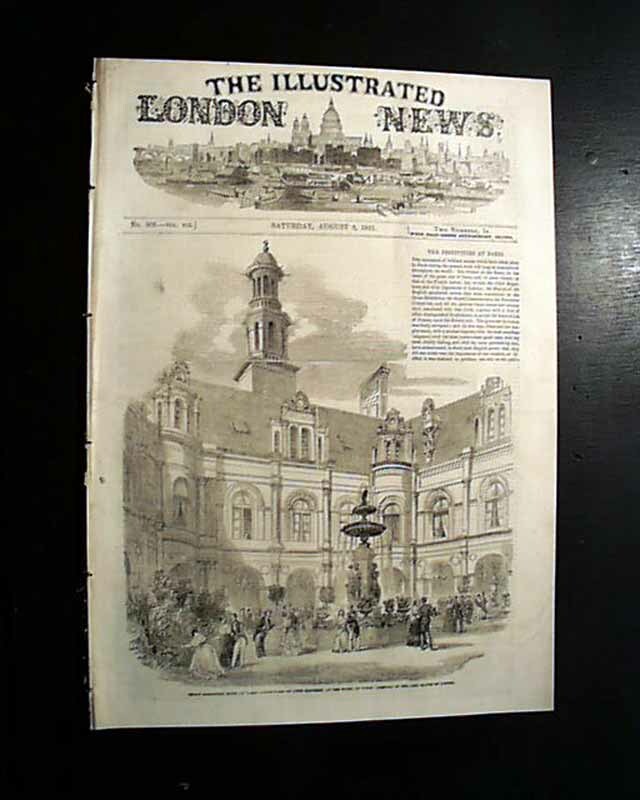 The complete issue which includes two "Supplement" issues as well. Very nice, clean condition.